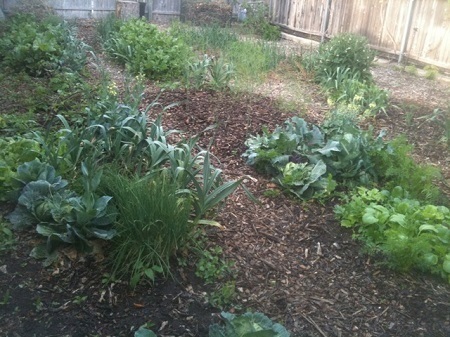 Weather is still cold, but it is a good time for some gardening. There are cool season crops that can still be planted and there are some warm weather crops that can be started in a couple of ways. Although they could have been planted in the fall, garlic (by rounds, bulblets or cloves), Swiss chard and other greens (by transplants and/or seed), radishes (by seed), beets (by seed) and carrots (by seed) can be planted now. Having floating row cover on hand to cover the plants on the coldest nights is important. In addition, it is the perfect time to plant onions (transplants), Irish potatoes (whole potatoes or pieces cut to between golf ball and baseball size) and asparagus (crowns). Soak all three for an hour in water with Garrett Juice added at 2 oz. per gallon of water. Plant the potatoes and asparagus just under the soil surface after preparing the soil with plenty of compost, rock minerals and sugar. See Guides on Dirtdoctor.com for the specific rates. I use whole potatoes but if you cut yours, treating the cut surfaces is not necessary (even though we used to say it was). Planting asparagus in really well-prepared soil is all that is necessary. Digging trenches and slowly filling as the plants grow is a waste of time and money. Asparagus will produce impressively for many years by simply planting it in well-prepared sandy, loamy or clayey soils and mulching with 2-3½ inches of shredded native tree trimmings. 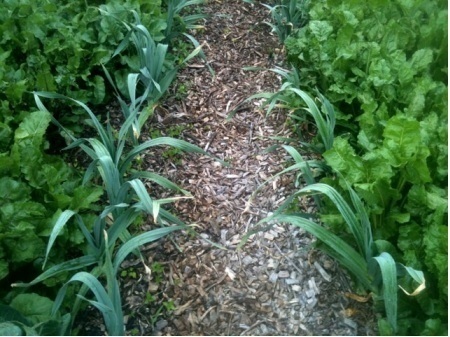 Shredded tree trimmings walkway through garlic and sugar beets. The tough perennial herbs like thyme, oregano and parsley can be planted as well, except in the frigid parts of the country. There you will have to wait a while or plant in cold frames. Other herbs that should be considered include cilantro (coriander), chives, chervil, rosemary, salvia, winter savory, dill, chicory, fennel, borage, arugula, and salad burnet. Being very careful to cover these plants with floating row cover is critical during harsh weather. And, don't forget that pansies, violas and Johnny Jump-ups are edible flowers. So are dianthus and calendulas. However, none of the flowers should be eaten unless being maintained under an organic program. Toxins tend to concentrate in the reproductive organs of the plants. 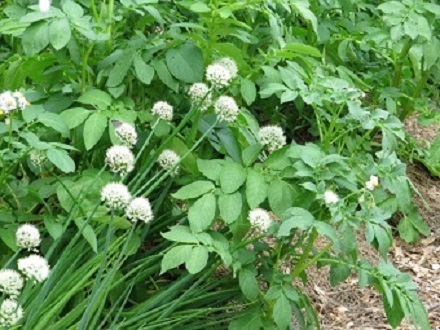 More of my edible plants information is under Guides on DirtDoctor.com. And - more about all fruits and vegetables can be found in my Organic Vegetable Gardening book; more on herbs in my Herbs for Texas book. My books are helpful coast to coast and border to border, by the way. Let's get to work! If you have any questions on this newsletter or any other topic, tune in Sunday 8 am -11 am central time to the The Natural Way - Dirt Doctor Radio Show. Listen on the internet or find a station in your area. The phone number for the show is 1-866-444-3478.